The Family Practice Incentive Program supports and provides guideline-informed care in such areas as chronic disease management, maternity care, mental health, and care for the frail and elderly. 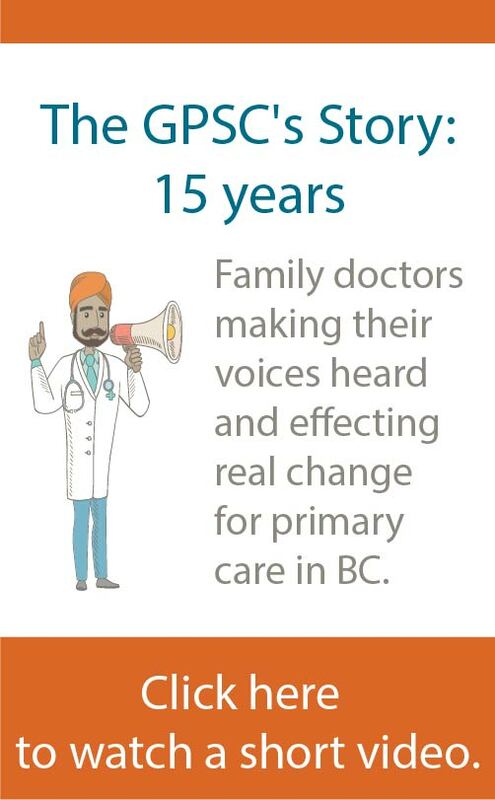 The Comox Valley is one of the first five BC communities to receive funding to link patient medical homes (PMHs) with specialist services and community resources to create primary care networks (PCNs) that will connect patients with the care they need, when they need it. The Comox Valley Division of Family Practice recently held two events to support members in completing the GPSC Patient Medical Home (PMH) Assessment process. During the first event, 46 GPs completed the GPSC PMH Assessment with the support of PSP and the Division. a. The quality of your work life? b. The work life of your staff? c. The overall efficiency of your practice? d. Access and outcomes of your patients? 2. Based on the needs of your community and the care that’s currently available, where do you see the most significant gaps in patient care? Participants’ responses to the first question focused on the need to make more effective use of physicians’ time and skills—essentially, leveraging an effective team-based care model to ensure the right person is doing the right job at the right time. This would enable physicians to work to full scope of practice, increase their face time with patients, and enable more patients to be seen due to more effective use of physician time. When asked the second question, participants pinpointed disconnects in effective and timely communication of patient information between GPs and specialists and hospital care as the most significant gap in patient care. Following this discussion, aggregate results of the GPSC PMH Assessment were compiled into a summary report by the GPSC Evaluation team, which was shared with all Comox Valley Division members via a link on the Division website and newsletter. The results were distributed in hard copy to participants at the follow-up event, which was attended by 23 members. At the follow-up event, the Division presented a number of priority action areas based on physicians’ responses in the assessment process. Participants then discussed and ranked the priority action areas, with a focus on dialogue and two-way communication to ensure that all physicians’ feedback was heard and all participants understood the next steps. The Comox Valley Division utilized the aggregate results of the GPSC PMH Assessment process and the feedback from the follow-up event to clearly identify the needs and priorities in their community. These needs and priorities formed the basis for the PMH Workplan for 2018/2019 and informed the Comox Valley’s successful PCN expression of interest application.